French giants Marseille were warned Wednesday they could be kicked out of European competition if their fans continue to wreak havoc. After numerous incidents in last season's Europa League in games against RB Leipzig, Salzburg and even in the final with Atletico Madrid, governing body UEFA have put the club on a two-year probation period. If similar incidents occur again, "Marseille (will be excluded) from participating in the next UEFA club competition for which it will otherwise qualify". 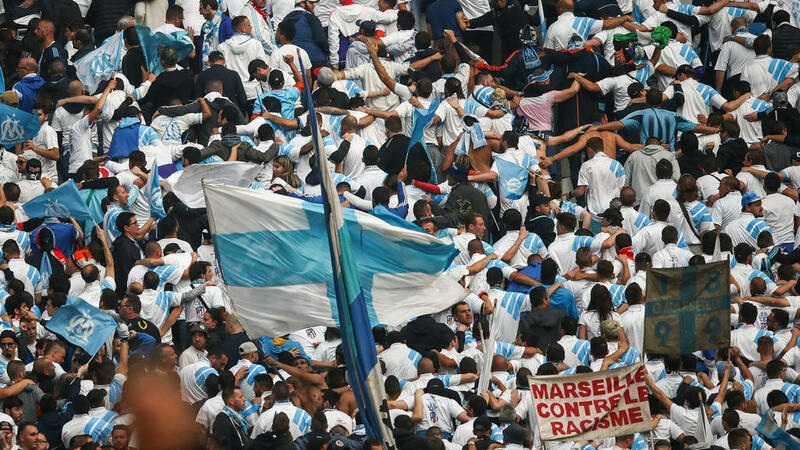 Marseille were sanctioned for crowd disturbances, acts of damage, setting off of fireworks and throwing of objects in last season's European campaign, said UEFA in a statement. The club, who have also been fined 100,000 euros ($116,925), will play in the Europa League in the forthcoming season. However, one home game at their Stade Velodrome will be played behind closed doors while the subsequent home match will see northern and southern ends of the stadium closed. "It would be good if we are not excluded so we will have to be on our toes," said Marseille coach Rudi Garcia. "We know that UEFA are very severe, rightly. But we need our supporters, if we do not have them for the first match of the Europa League, that is already very negative. "Everyone will have to take responsibility so that we can play in a full Stade Velodrome."